Well done Pat!! Boom & Gary of the Vermilon River, Canada. Lovely image! 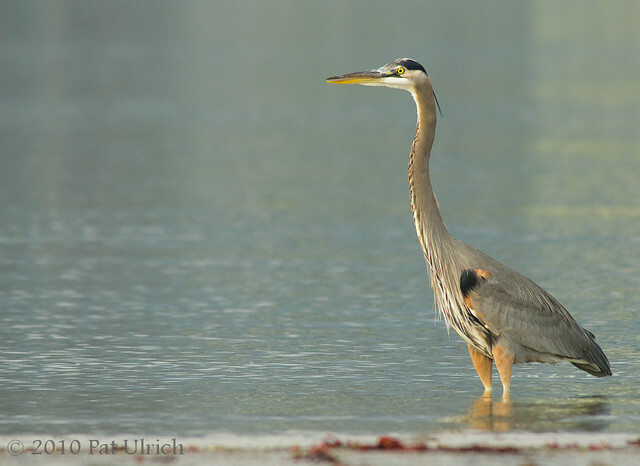 Great Blue Herons are such elegant looking birds. Beautiful! Nice image Pat. Good colors, good background and sharp. Thanks, Jim! The colors of these birds at times appear sublte, but the nice warm tones of a sunset can help to pull them out.